Enjoy the luxury and convenience of staying on snow – ski & board mid-week and save! Stay 5 nights in the heart of Perisher. If you’re looking for something a little longer than a weekend snow getaway, then this is the deal for you! Additionally, if you are an Epic Australia Pass holder you’ll receive a range of discounts throughout your snow holiday. Including up to 15% off food and beverages at Perisher restaurants and bars. Along with up to 15% off Snowsports hire and lessons when booked online, and in advance. Plenty more savings to be made, check them all out here! 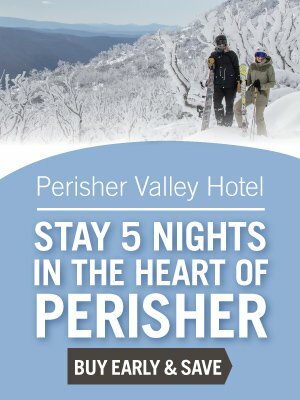 This deal is valid for stays from Sunday night with accommodation in the Perisher Valley Hotel’s family rooms & this deal cannot be booked in conjunction will any other promotion or special. Restriction dates may apply.